Moto devices are known for less bloatware and almost pure stock Android experience. Moto devices are known for their compact size and smooth performance, but the design thing changed this year when the company launched the 4th Gen Moto G’s with the 5.5-inch screen. I know it is not bad to keep the 5.5-inch screen on the phone as many users prefer this size but the thing is that Moto phones changed the way we considered 5-inch devices. We all know Moto phones are one of the first to get the latest Android update and some latest Moto devices have already got the Android Nougat update. 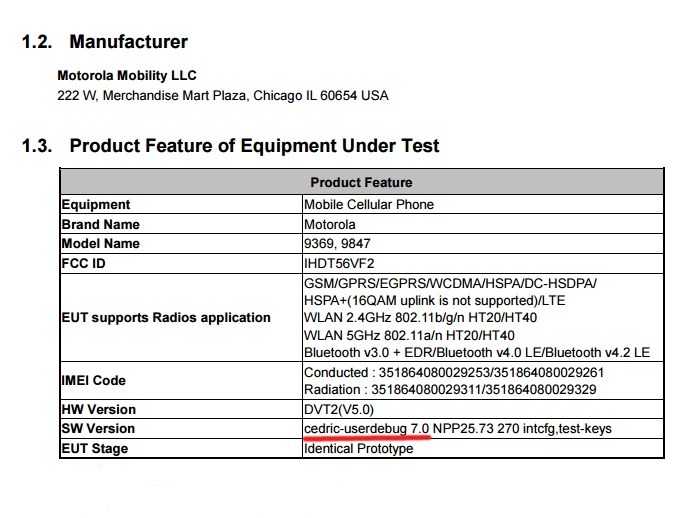 Today, a new device codenamed Moto Cedric was spotted on FCC which is going to be the very first phone from Motorola to come with the latest Android Nougat out of the box.